On June 20th, BAM principal and IFMA Programs Chair Dan Castner will join a panel of diverse leaders in the New York design industry. Experienced professionals will share their knowledge and highlight key items to consider before starting a commercial renovation project. If you have had questions about furniture and finishes selection, determining end-user needs, technological upgrades, or other aspects of the renovation process, this panel is for you! Become an expert in renovations – register today! 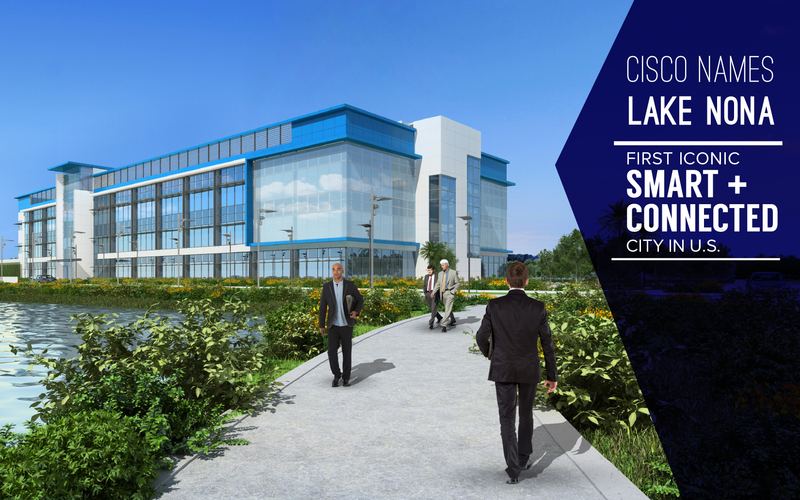 Cisco Names Lake Nona the First Iconic Smart+Connected City in U.S.
BAM has recently been working with Lake Nona on their Medical City located in central Florida. The campus is planned around the idea that multiple facilities working in tandem accelerates innovation. Lake Nona Medical City promises to become home to top medical institutions and is already making Orlando a global destination for health care. Lake Nona is working with the Sanford-Burnham Research Institute and the University of Florida’s Academic & Research Center to provide top quality health care and economic opportunity for central Florida. BAM is excited to continue our work with Lake Nona, providing design and consulting for the Medical City. Ross Adam Cole was quoted in the Summer 2011 issue of Perspective in an article discussing designers utilizing their knowledge to become strategic consultants. Perspective is a published by the International Interior Design Association.